Higher-income Medicare beneficiaries (individuals who earn more than $85,000) pay higher Part B and prescription drug benefit premiums than lower-income Medicare beneficiaries. The extra amount the beneficiary owes increases as the beneficiary's income increases. 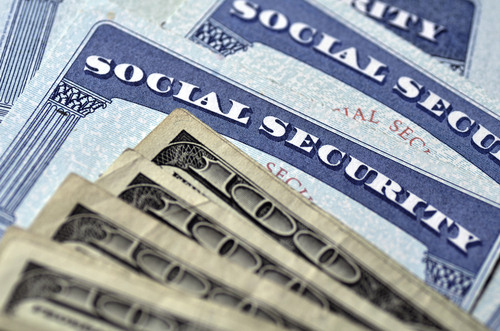 The Social Security Administration uses income reported two years ago to determine a beneficiary's premiums. So the income reported on a beneficiary's 2017 tax return is used to determine whether the beneficiary must pay a higher monthly premium in 2019. A lot can happen in two years. If your income decreases significantly due to certain circumstances, you can request that the Social Security Administration recalculate your benefits. For example, if you earned $90,000 in 2017 but your income dropped to $50,000 in 2018, you can request an income review and your premium surcharges for 2019 could be eliminated. Income is calculated by taking a beneficiary's adjusted gross income and adding back in some normally excluded income, such as tax-exempt interest, U.S. savings bond interest used to pay tuition, and certain income from foreign sources. If your income changes due to any of the above reasons, you can submit documentation verifying the change in income -- including tax documents, letter from employer, or death certificate -- to the Social Security Administration using this form (click here). If the change is approved, it will be retroactive to January of the year you made the request.